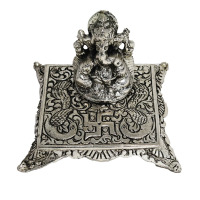 Amazing Art, the tiny silver diya placed ahead of the sculpture completes the non secular look. 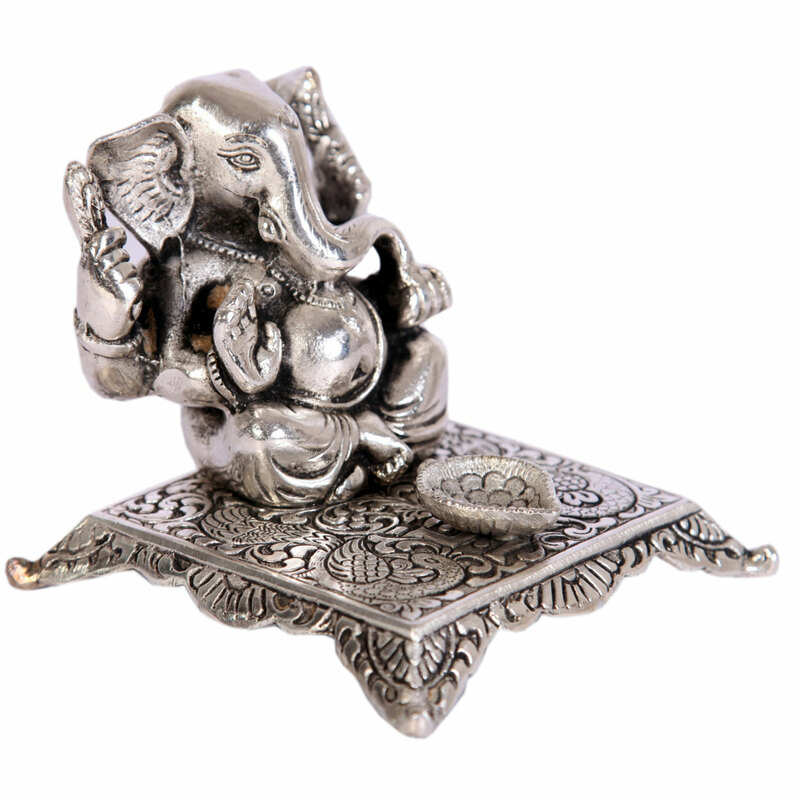 The beautiful Ganesh idol made form solid oxidized silver and placed on a magnificent chowki crafted of the same metal and adorned with intricate self Read More..carving will add to devotional aspect of your home temple. 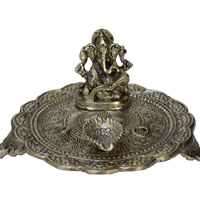 The small silver diya placed in front of the statue completes the religious look. 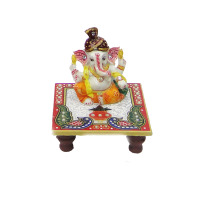 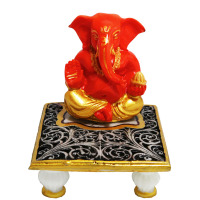 Show Less..
Decorate your home and bring good luck with this ganesh statue sitting on a chowki. 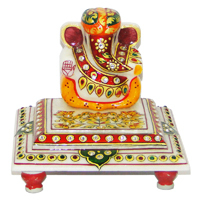 Orange coloured Resin made ganesha in chowki to make you puja place sacred and divine.